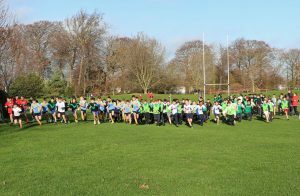 After a wet week mainly spent indoors, the sun shone on Friday morning and 72 boys were happy to get a good run-out in the magnificent grounds of Terenure College. Out of four boys’ races we had three winners with Cillian, Ben and Gareth all winning their races. What a great achievement! Unfortunately, despite a great all-round effort by Ms Tynan’s and Mr. Brennan’s classes we were just pipped by St. Mary’s for the team event as they had more top 10 finishers than us. There will be more cross country events coming up after Christmas and every boy from 3rd to 6th will get a chance to represent the school so keep active everyone! We would like to thank Skippy John for teaching the boys individual, partner and team skills/techniques in skipping. Our boys loved learning how to do crossovers, double unders, link skipping, cluster skips and double dutch skipping. ‘Keep the pot boiling’ was a particular favourite with teams as big as you like. The challenges set by Skippy John are aimed at improving self-esteem as they are not competitive, the boys just aim to beat their own PBs, (personal best). It was a wonderful opportunity having the Skipping4life workshops. The workshops finished with ‘A Whole School Show’ which incorporated all they had learned and gave a few boys the opportunity to demonstrate each technique to the whole school. Brave energetic boys! Thanks to all who assisted in any way in bringing Skippy John to our school. 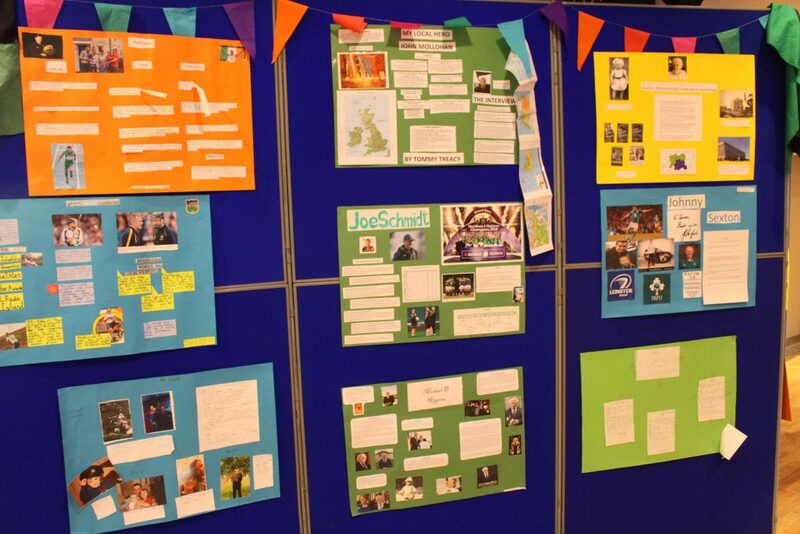 We´ve had a very active start to the school year indeed. Classes have been doing laps of the school yard, fitness classes, swimming lessons, Gaelic football leagues, hurling and football coaching and 93 boys have run in two cross country events(with Gareth, Ben and Cillian all winning races!). There´s also much to look forward to later in the year with hurling leagues, soccer, track athletics, tennis and cricket. We are encouraging all families to part take in the Super Troopers programme again this year. This is a programme which encourages children and their families to live healthier and more active lifestyles. 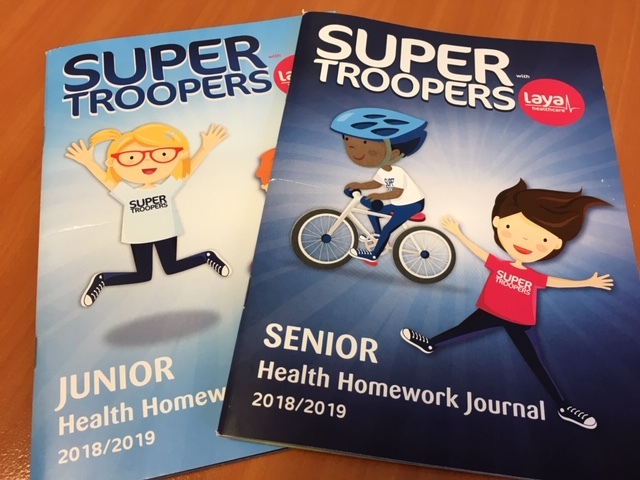 Through simple, short burst, fun daily activities based around physical exercises, wellbeing and nutrition, this programme helps to promote healthy minds and bodies.You will find a SUPERTROOPERS Health Homework Journal in your child’s school bag in the next few days. There are some great age-appropriate exercises at the back of the journal and you can also check out this website. 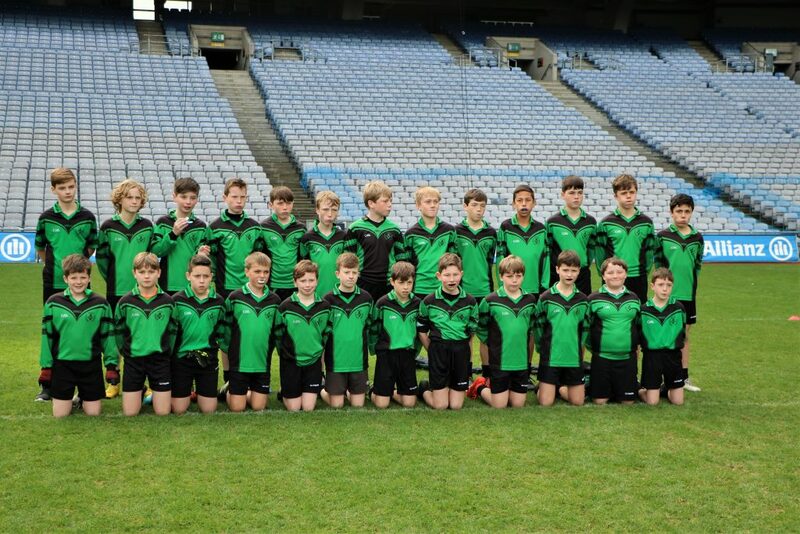 Our Cumann na mBunscol school football season is well under way and we have two junior teams and two senior teams. They will be in weekly action every week up to Halloween. We are also continuing a long tradition in St. Joseph´s by running a 3rd and 4th class football league in the first term. Well done to all the boys from 4th class who presented their projects on “My Local Hero” at Faughs Community Schools Night last week. St. Joseph´s past-pupil Danny O’Reilly of the Coronas presented the prizes. Winners were Conor, Tommy and Issac. More Photos here.